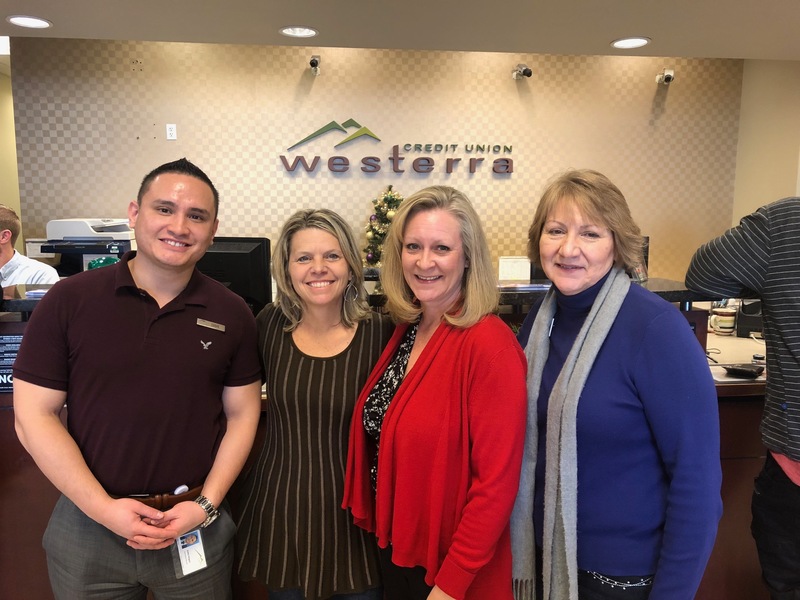 We are so excited to announce our new account and partnership with Westerra Credit Union, which was started by Jeffco teachers! We were welcomed with open arms and impressed with such amazing and friendly service! Our account was set up by Eddie (also a Jeffco parent) and Dana (a huge public education supporter) before we even walked the door! We are so excited for this partnership and, here’s a bonus, if you decide to open any new account with Westerra, you can mention Support Jeffco Kids and we’ll receive a donation of $52.80. As a nonprofit organization, we make every penny count so even one donation is a big deal for us and very much appreciated! 1) Anyone can participate in opening accounts; friends, co-workers, neighbors, family, organization supporters. 2) Everyone must mention Support Jeffco Kids in order to have the funds credited to SJK. Go to any location to open your accounts! They made it so very easy and we were delighted to see what we’d be saving on fees with our business account! Westerra is also known as the school district’s credit union. They have been a longtime supporter of education, our administrators, teachers and classified employees. As sponsors of the Jeffco School Foundation, JCAA and many other education groups, they also provide over $50,000 in grants to teachers/schools for classroom resources each year. Westerra offers a great fundraising program for schools and non-profits and financial literacy education, which makes it ideal for PTAs and Scout organizations. Westerra also has a new suite of business products available so check them out. A few other incentives if you are looking to move your personal accounts; schedule a free financial review to get those accounts switched and you’ll get a state or national parks pass certificate. With their free checking that earns rewards for cash, travel and merchandise, you will be surprised how much you can save using a locally owned, not-for-profit financial institution. Anyone living or working in the metro Denver area can join.